24/7 Burglary Monitoring with our Basic Equipment package, is both simple to use and affordable. Rest assured that both you and your children can operate this home security system, which gives you the peace of mind knowing you have 24/7 monitoring in case of any emergency. 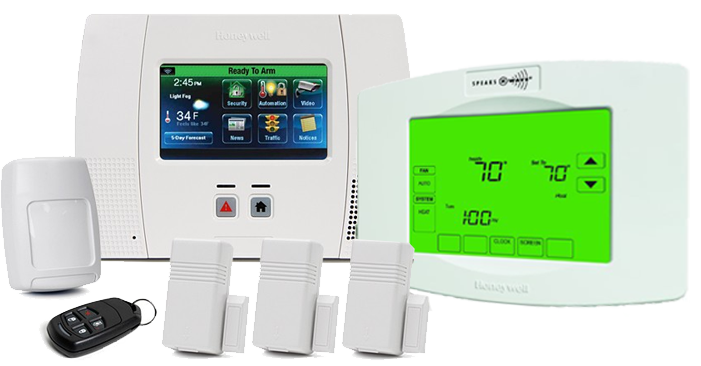 24/7 Burglary Monitoring, PLUS Z-Wave Thermostat technology allows your home security system to communicate with your home’s thermostat to make sure your home is both safe and cool whenever you get there. Basic Monitoring PLUS Home Automation 24/7 Burglary Monitoring, PLUS Total Connect™. This digital technology allows you to control your home security system through a smartphone or PC. This package is ideal for those who are away from home during the year.